Tesla Model 3 is on its way of becoming the next major disruptor in the automotive industry in Europe as everyone lost the count of ships delivering these compact electric sedans from the United States. 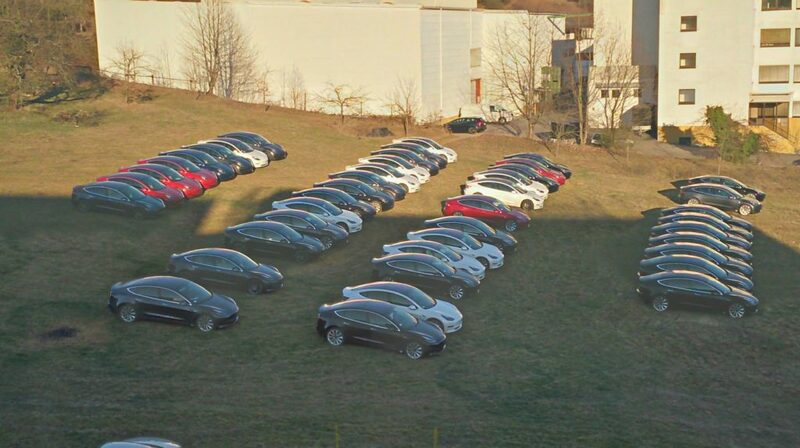 Watching truckloads of Tesla Model 3 being delivered to different cities of Europe has now become a daily phenomenon for many as Tesla is working tirelessly on the delivery plan. Last weekend Elon Musk personally visited the Port Of Zeebrugge, Belgium and several other European cities and Tesla HQ in Amsterdam to ensure everything is working fine at this important moment in the company’s history. 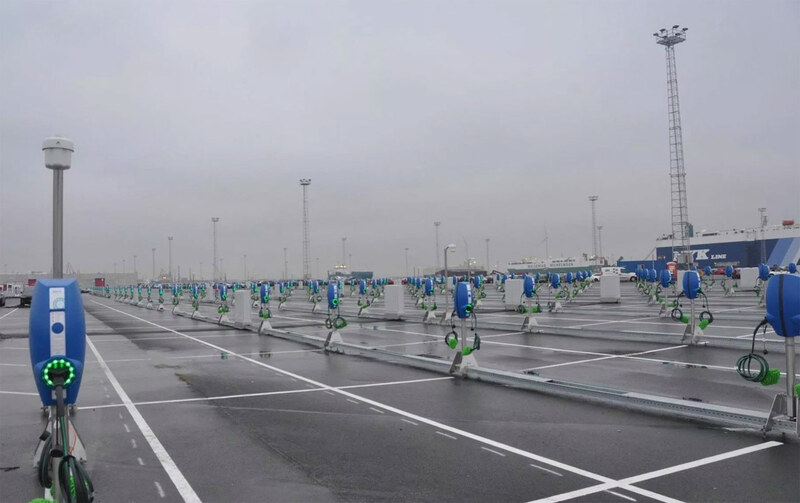 Due to a large number of Tesla Model 3 imports at the Port Of Zeebrugge, International Car Operators (ICO) had to install 300 chargers at the port. These EV chargers are able to give a quick initial electron boost to Model 3s as they get ready for their next European destination and into the hands of the end customer. You can rarely see an employee of a company that much ‘passionate’ and ‘driven’ about the company’s mission, especially in the automotive sector, this is a foreign company expanding in Europe, seems like the Tesla Mission towards sustainability has broken all barriers of language and nationalism. Tesla is currently only offering the Long-Range Dual Motor and Dual-Motor Performance versions of the Model 3 in Europe, which are the top tier variants of the car, the next more affordable Mid-Range variant is still not available in the region, still, the number of deliveries is impressive. With the launch of Mid-Range and ultimately the Standard Range Tesla Model 3 will mark the next phase of disruption for the car industry in Europe as Volkswagen has only been able to showcase their concept electric vehicles and nothing seems to be in the production pipeline besides the lack of trust after the dieselgate scandal. 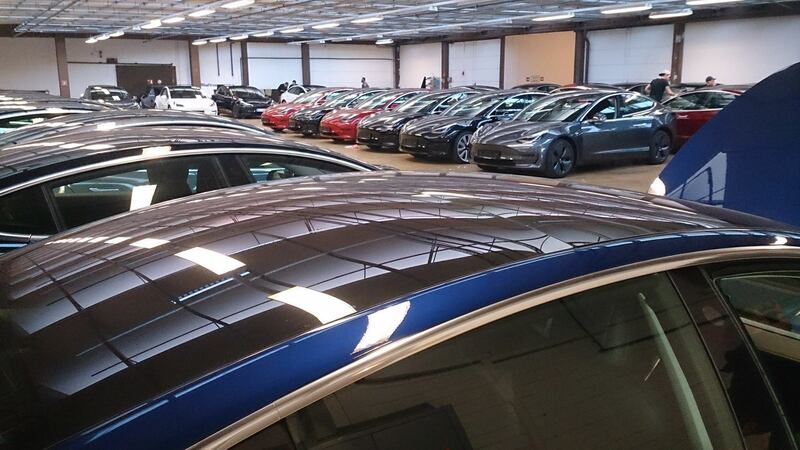 Reportedly Tesla stores are now replacing the dealerships and showrooms of the big automakers in Europe as we can see in the following tweet, a Tesla store in Ghent, Belgium is now operating at the location that used to be an Audi dealership. 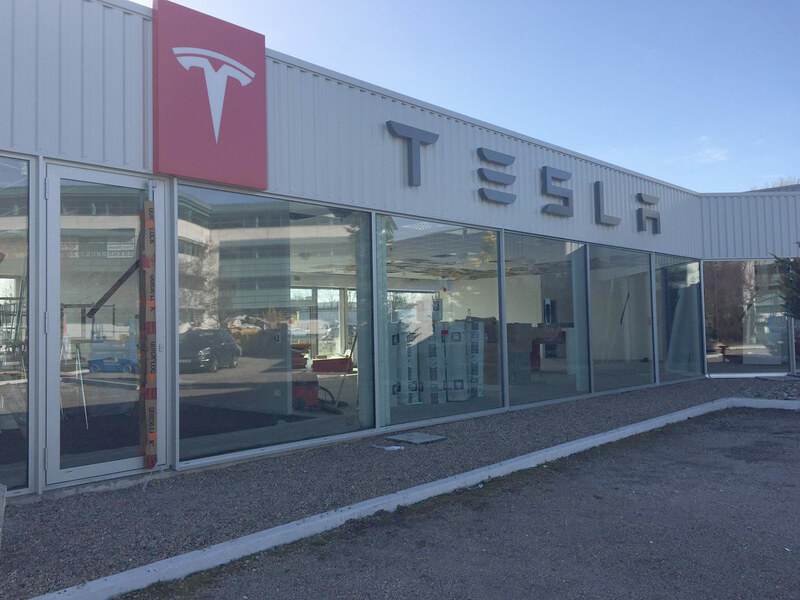 The following store in Bordeaux, France was also used to be a Ferrari dealership which is now serving Tesla customers (reported by @TeslaStars). The Tesla Model 3 disruption in Europe has begun, the big traditional automakers had their chance to come up with some reasonable electric cars that appeal to the masses and create a charging infrastructure for long-distance travel, but the majority of large companies seem to have failed in doing so, Tesla has the clear edge on the future. Germany also has started getting its fair share of the Tesla Model 3 shipments as we can see in the following video shot in Frankfurt, a number of Model 3 reservation holders are reporting that the delivery process is fast and smooth in Europe. Let us know your thoughts in the comments section below on what you think of the electric vehicle revolution that has now struck Europe with more impact and how ‘Big Auto’ should react to ensure their survival. Tesla Store in Frankfurt Germany, overloaded with Tesla Model 3 electric cars (photo by Thomas Maul/Tesla Model 3 Facebook group).